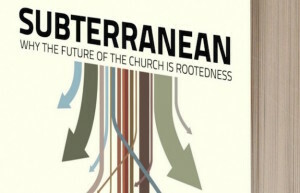 Dan White Jr. has written a new book called Subterranean: Why the Future of the Church is Rootedness. This post is part of the “Blog Tour” for the book. I’m focusing on Chapter 10: Rooting in Community. 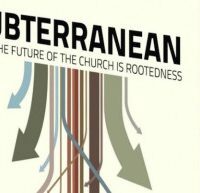 When Dan White Jr. asked me to join the blog tour for his new book Subterranean: Why the Future of the Church is Rootedness, I immediately said yes. I said yes for several reasons. First, I find Dan White Jr. to be a profoundly thoughtful writer and communicator. In my interactions with him through social media, I’ve noticed a depth to his insights and lived out convictions. Dan is not parroting the cliches of this generation or simply following the cultural traditions of community formation and church practice. Instead, he is actively trying to discover what authentic Christian community looks like, not just in theory, but in practice. In his process of discovery, he is still incredibly gracious in how he communicates with those who disagree with his conclusions. He truly has both a theological and pastoral heart. Besides valuing what Dan has to say, I’m also interested in Subterranean from the perspective of a pastor. As a pastor, I’ve spent many years trying to reconcile and understand the seeming disconnect between a biblical understanding of the church and the religious practices of our current American church culture. When I was a younger pastor, I often grew frustrated with the kind of church expressions that were platformed at the latest Christian conferences. So often, the highlighted church models of the moment seemed to lack the relational depth and integrity that clearly permeated the New Testament church. Subterranean tackles these issues head on. A third reason I happily said yes to reviewing Subterranean is rooted in my experience as a radio talk show host. For 5 years and about 1,200 daily shows, I hosted a radio program where I had the privilege of interviewing hundreds of authors. In fact, each week a handful of books were mailed to me for my perusal. Sadly, I found a large percentage of these “Christian” books lacked depth and theological insight. Worse yet, many of the books I received followed the same tired arguments concerning what’s wrong with the church and how to fix it. I quickly realized that there was little correlation between the quality of one’s ideas and the ability to publish a book. With this background, I was more than pleased to read and review a book that had a meaningful and essential reason for existence. Subterranean is not just another book, it is an important and necessary work that will hopefully inspire pastors and congregations to take seriously their mandate to facilitate and abide in authentic, rooted community. On this blog tour I was given Chapter 10: Rooting in Community, as the focus for my post. 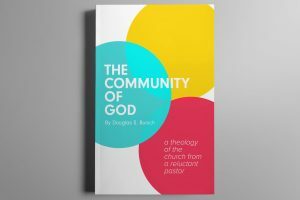 As I am currently writing a book on community, I was eager to read Dan’s thoughts on how church rootedness can positively affect Christian community. Dan rightly points out that the best way for the church to survive an uncertain future is to rediscover its foundation of community. He writes, “Rather than going back to the boardroom to come up with more ingenious ways to be relevant, we should pick through the mound of our seeming progress to recover the neglected gem of community.” In other words, the church does not need to reinvent itself, rather, it needs to once again position itself upon the foundation of genuine community. Dan points out that the early church did not survive and thrive by “…fashioning a corporate organization that could rival their secular competitors; instead their newfound unity was expressed in the simplicity yet complexity of mutual love in community.” For churches to foster this kind of community, they must do more than try to foster friendship or unite individuals with like interests or shared theological convictions. Instead, to foster authentic love, the church must take seriously the need to abide with one another as a genuine, spiritual family. A family that is willing to cultivate authentic relationships, even at great cost. 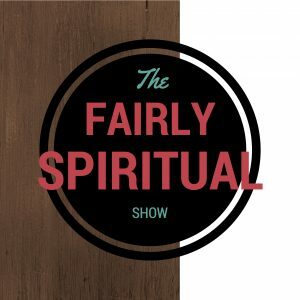 I particularly enjoyed Dan’s honest assessment that abiding in genuine authentic Christian community is not easy. For there to be genuine love, there will be genuine conflict and struggle. Even so, Dan points out that it is only in such loving Christian community that “…we can experience the incredible privilege of being ourselves in the presence of love.” Dan writes, “Learning to love people we wouldn’t naturally like is an essential point of become a disciple of Jesus.” Subterranean’s advocacy for such complex and even conflicted community is its greatest strength. There is much more I could write concerning Dan White Jr.’s Subterranean. If you’d like more information, please review the other posts in this book blog tour. Some might accuse Subterranean as swinging the pendulum too far in a direction away from many of the dominant expressions of American church culture. I would say that even if this is true, it is necessary. It is necessary that Dan passionately advocates for a better way in the face of so many shallow church solutions. I would encourage any pastor or Christian who desires to nurture deep, meaningful, complex Christian community to read Subterranean. I’m sure you’ll find much to help you lead or grow a more rooted ministry.